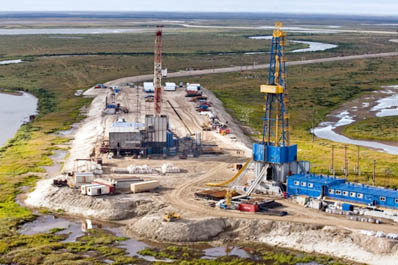 OAO NOVATEK says that independent petroleum engineers, DeGolyer & MacNaughton, have completed their comprehensive reserve appraisal of the Company's hydrocarbon reserves as of 31 December 2014. Total SEC proved reserves, including the Company's proportionate share in joint ventures, aggregated 12,578 million barrels of oil equivalent (boe), including 1,747 billion cubic meters (bcm) of natural gas and 135 million metric tons (mmt) of liquid hydrocarbons. In 2014, NOVATEK increased the proved reserves by three-tenths of one percent (0.3%) and recorded a reserve replacement rate of 109%. The reserves growth during the reporting period was affected by the disposal of the Company's share of 4.9% in SeverEnergia. Excluding this effect, the proved reserves grew by 2%, with an organic reserve replacement of 152% due to successful exploration works and drilling, what is equal to reserves addition of 733 million boe, inclusive of 2014 production.